Chock-full of actionable Passive House insights for the North American marketplace, the NAPHN 2018 Conference and Expo promises to be our biggest and best yet. This year’s conference will be held at the iconic David C. Lawrence Conference Center on Pittsburgh’s historic riverfront. Over 1,000 practitioners, developers, manufacturers, and policymakers will participate, as part of a growing Passive House wave in North America. 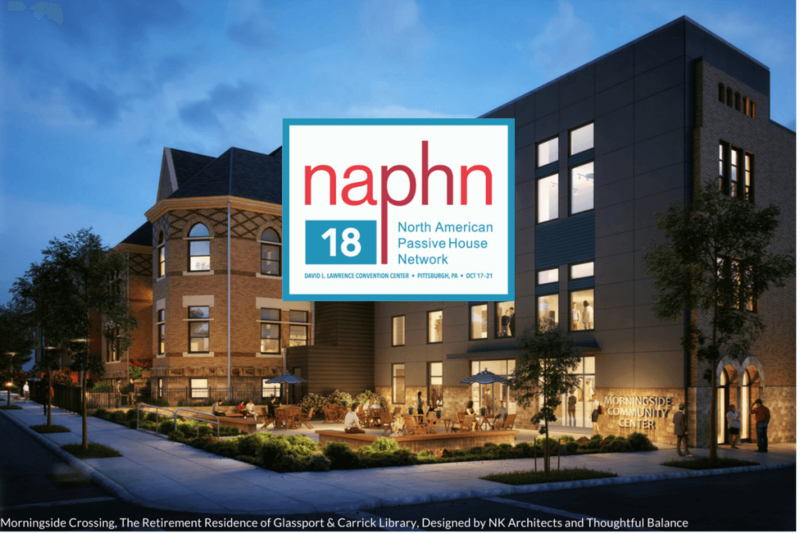 NAPHN chose Pittsburgh as the site for NAPHN18 because it is a center for technology and innovation, plus a hot spot for Passive House development in North America. Pittsburgh boasts an impressive concentration of multifamily, institutional, and residential projects and knowledge base to share with the NAPHN community. NAPHN18 is seeking topnotch session content. Got a great Passive House idea, lesson-learned, or insight to share? For more information and how to submit a speaker application go here. The conference’s six themes are: Policy, Building Codes, Zoning, and Climate Change; Social Equity and Inclusion; Retrofits; Health and Wellness; Solutions Using Passive House; and Innovations. We invite you to join us and hope to see you in October! This entry was posted in Featured, Recent News, Regional Feature and tagged 2018 conference, conference, expo, NAPHN18, PA, Passive House, passivhaus, Pittsburgh. Welcome to our New Chapter – New Jersey Passive House!